Blackstock Country Estate Wedding Ceremony VenueBlackstock Country Estate is a beautiful countryside wedding and events venue set in the rolling South Downs of Sussex, which hosts ceremonies, receptions and events in two cosy barns, surrounded by 70 acres of breathtaking estate. Planning your wedding day with Blackstock is easy and stress-free. 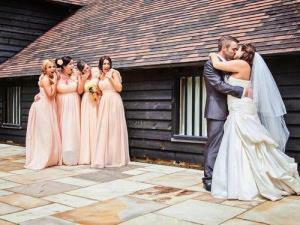 Their dedicated wedding team are friendly and knowledgeable and are just a phone call away. They will work with you every step of the way to plan your day to the last details and will be on-hand during the big day itself, to make sure everything goes to plan.